Current students should frequently visit this section to access their online coursework, schedule their behind-the-wheel driving/observation lessons, schedule their learner's permit and access additional driver education materials. This is where students will need to go to access their online coursework. Once you click and open the link, feel free to bookmark and course login screen for quick and efficient access. Once students have obtained their Learner's Permit from the DMV they will create an account with Schedule2Drive. Schedule to drive will allow students to view available drive sessions, schedule driving appointments and view a log of complete driving and observation hours. Step 1: Create your account. You will need your driver's license number off of your Learner's Permit. Upon completion of Step 1, once your account has been verified, you will be able to see available drive sessions and schedule your behind-the-wheel lessons. Schedule your Road Skills Test - Once you are about 5 weeks out from your license eligible date, you will want to visit the Department of Motor Vehicles online road test scheduling. We strongly encourage you to schedule well in advance, especially if you hope to take your test on your birth date or date of eligibility. 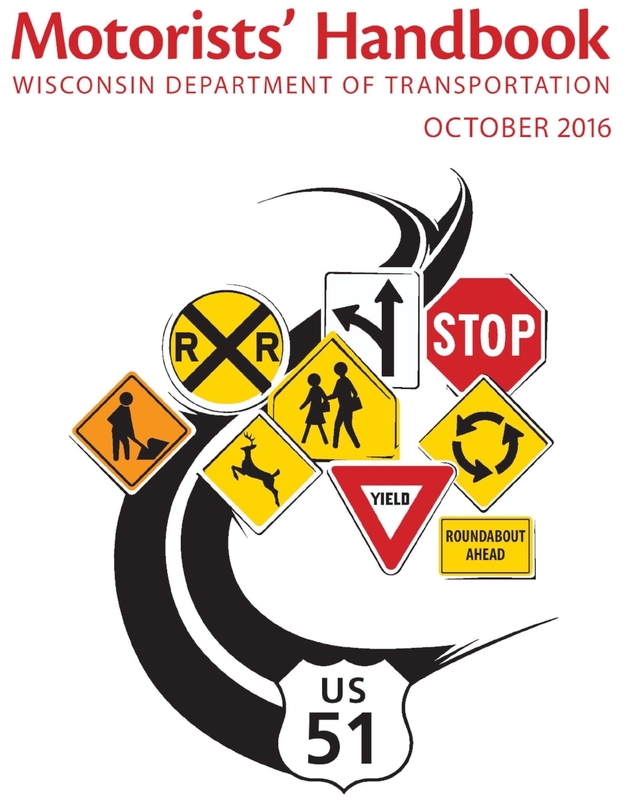 Click the WI DOT logo to access some of the most important resources on the Wisconsin Department of Transportation website. This Wisconsin practice knowledge test is a great resource for life-long learning! Use it as a practice guide to help you prepare for the knowledge test that all new drivers must pass to obtain a learner’s permit. Also, test yourself to stay sharp and up-to-date on basic driver safety. Have fun!